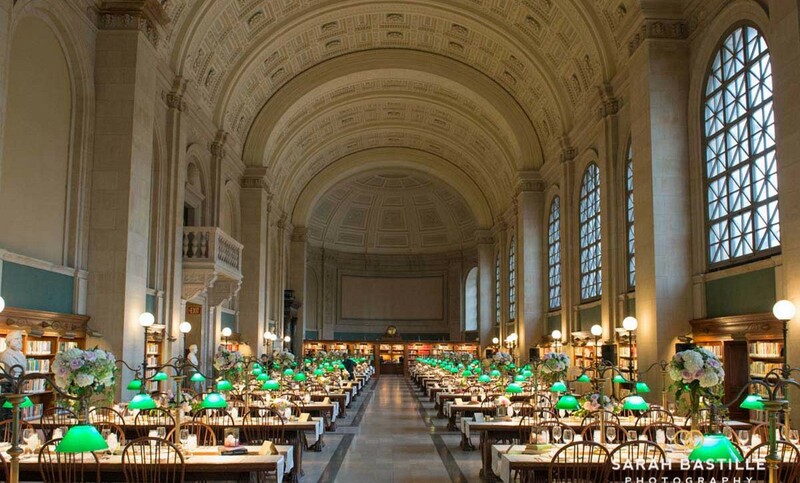 Bates Hall is the epitome of a library space. 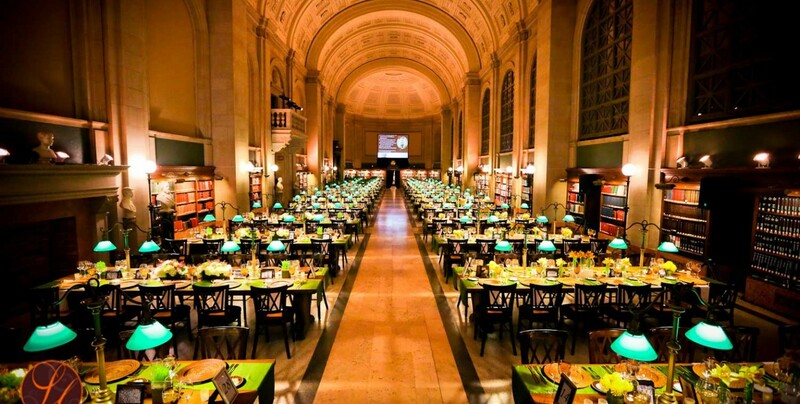 With walls adorned with book cases, green reading lanterns and solid oak tables, this hall is the most recognizable in the library. 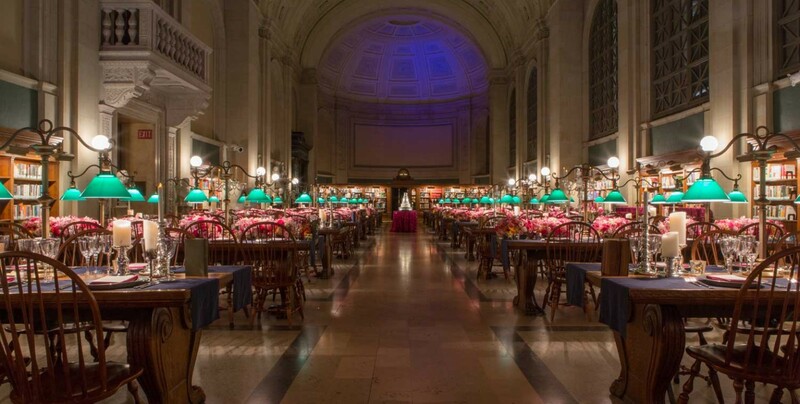 After hours, Bates Hall can be transformed into your venue for cocktail receptions, a seated dinners, company holiday parties, or an elegant awards night. 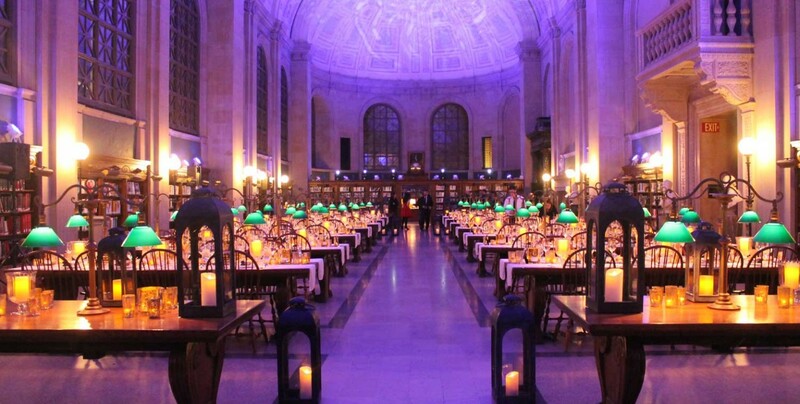 Acknowledged by many to be architecturally one of the most important rooms in the world, Bates Hall features a majestic barrel-arched ceiling enclosed by half domes on each end, English oak bookcases, busts of eminent authors and Bostonians, and a richly carved limestone balcony. 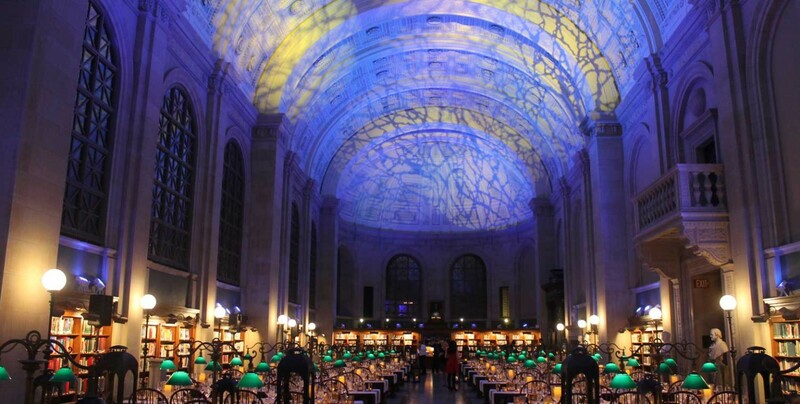 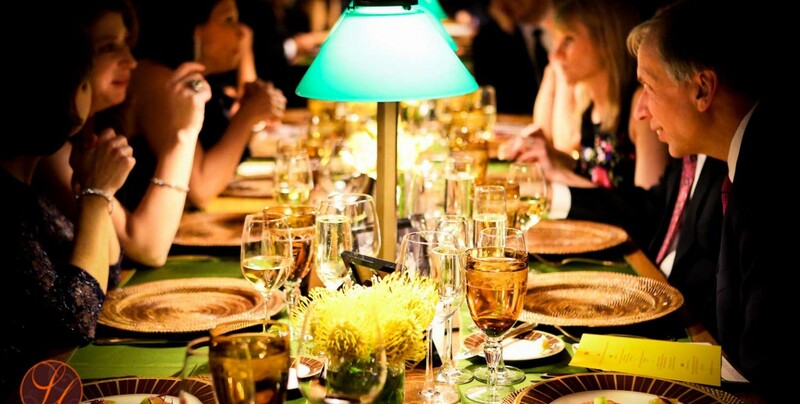 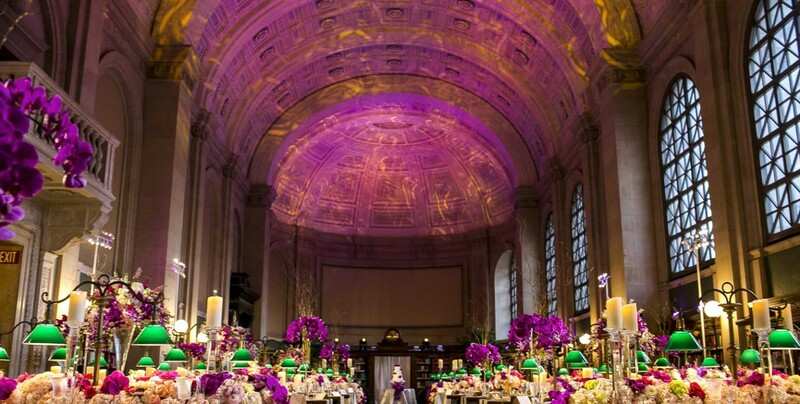 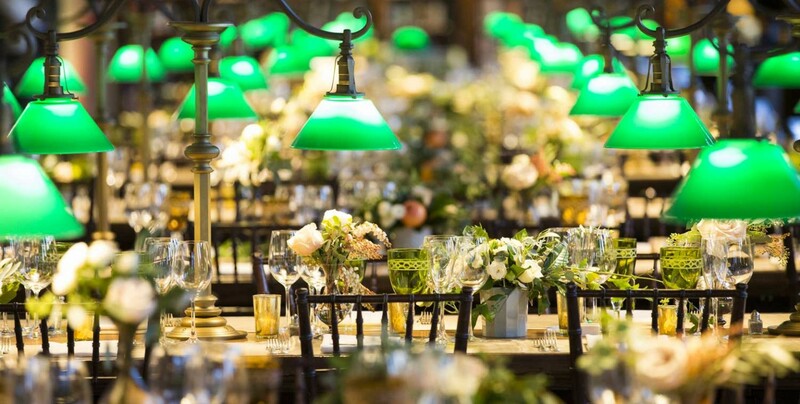 Host a standing reception for up to 542 guests or plan an elegantly catered dinner with up to 330 of your clients, employees, or wedding guests in one of Boston’s most historic and well known spaces.